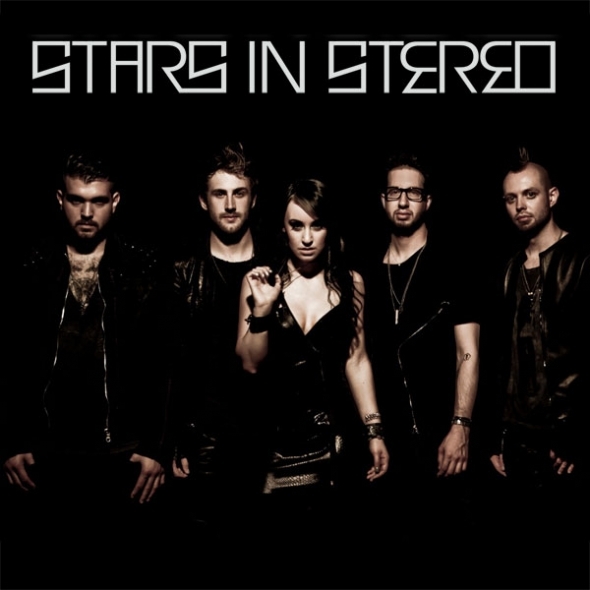 We got the chance to interview Jordan McGraw of Stars in Stereo. Check it out! NOIZE-How did your show go in Grand Rapids a few days ago at The Orbit Room? JORDAN-Honestly, this last Grand Rapids show was my favorite we have ever played. The crowd was absolutely insane. There’s no better feeling than seeing a crowd sing along, crowd surf, jump up and down, and lose their minds. I don’t know one band that doesn’t like a crazy crowd. NO STANDING AROUND! NOIZE-I also heard a lot of positive feedback about your Detroit performance when you opened for Flyleaf and Drowning Pool earlier this year. What are your memories of your brief time spent in Detroit? JORDAN-We’ve been to Detroit a couple of times now and every time has been awesome. I think every time we go we have seen a different part of the city and every show we have gotten a better response than the last. Detroit is a tour stop we always check the routings for. NOIZE-Tell us an interesting tour story. JORDAN-For some reason, the details of the nights where I did something stupid are hazy. However, one night, our friend Jack Daniels and the band were hosting a classy get together on our bus. I’m standing next to Justin when one of the members of one of the other bands turns to Justin and asks “do you trust me?” This was maybe the second week of tour so, because he had no reason to say no, Justin nodded confidently. Next thing I know this other guy raises the knife that we hadn’t noticed and cuts Justin’s shirt from collar to… whatever you call the bottom of the shirt. If Jack wasn’t there to calm Justin down I’m sure he would have needed a new pair of pants too. Long story short, the guy has excellent knife control. Needless to say, when he asked another one of us about trust, the answer to the question was a bit more complicated. JORDAN-Hmm that could be incriminating… it’s hard to keep any of us away from a good party. JORDAN-Our tour manager… see the above answer. His job, once the show is over, is to make sure we don’t do anything too stupid or crazy… which we usually take as a challenge. Poor guy. NOIZE-What is your favorite past time on your days off? JORDAN-Recover from the night before a day off. We own almost every season of The Simpsons so I usually lock my self in the back lounge with my dog and kill time that way. NOIZE-What music do you play on the bus? JORDAN-It depends on the time of day. If it is right before show time, we usually put on something upbeat that’ll get us moving. Yesterday it was a mix of Jay-Z, Tina Turner, and Blink-182. After the show is usually something like Guns N Roses, Slipknot, or Foo Fighters. We also have a 90s R&B playlist that’ll make it’s way into the mix every now and again… You can’t escape R. Kelly. NOIZE-Have you been pursued by groupies or over zealous fans? JORDAN-We have the best fans ever… No one has been too pushy or over zealous at all. NOIZE-Who sleeps the most? The least? JORDAN-Justin is usually the first in bed and I’m usually the last. Bec sleeps the lightest. Frogs definitely sleeps the most… Drew sleeps… the loudest. NOIZE-How does Bec handle being the only girl surrounded by so much testosterone? JORDAN-I think she may be the wildest of us all. She grew up with brothers so she can definitely hold her own. NOIZE-What is your musical bucket list of goals you would like to achieve? JORDAN-I want to be played by a handsome, up and coming actor in a biopic about our band… That and playing the Grammy’s or VMAs. I grew up watching those shows and wanting so bad to do what my favorite bands were doing. NOIZE-You just released your album “Stars in Stereo.” How is that going? JORDAN-It has been going so well! When you put out something you’re so connected to, it’s always nerve racking to see how its perceived but it’s going well! It’s awesome to hear people say they have certain songs on repeat or singing along in the crowd at shows. Can’t wait to see what else is in store. NOIZE-Do you have any video shoots coming up? JORDAN-We just filmed a video for Every Last Thing. It is going to be a pretty graphic video… I will just leave it at that! The Broken video was the beginning of the story and Every Last Thing is towards the very end so this video is where things in the storyline of the album start getting intense. NOIZE-What is your favorite thing about being in the music biz? The worst thing? JORDAN-I couldn’t imagine doing anything other than playing and writing music. The best part is getting to do that every day and meet and play with other bands that feel the same way. Seeing people connect to our music is amazing as well. Connecting with people is one of the strongest reasons that we do what we do. Like any business, there are down sides and things you have to look out for. It is easy to be taken advantage of or pushed in the wrong direction but as long as you stay true to your band’s vision it’s hard to go wrong. Surround yourself with people you trust and stick to your guns. The positives of the business far outweigh the negatives. NOIZE-Bec has an amazing voice. Can you tell us more about her background and training? When did she realize she could make a career out of music? JORDAN-Bec is the best singer I could ever have imagined getting the chance to be in a band with. She did some solo stuff in Japan and spent a lot of time getting to where she is as a singer and performer. Lucky for us, she wanted to be in a band! When we first met her we knew within a few minutes that she was the perfect addition to the family we were building. I couldn’t imagine going on this ride with anyone else up front. NOIZE-Any big plans for the summer and the rest of the year? When do you come back to Detroit? 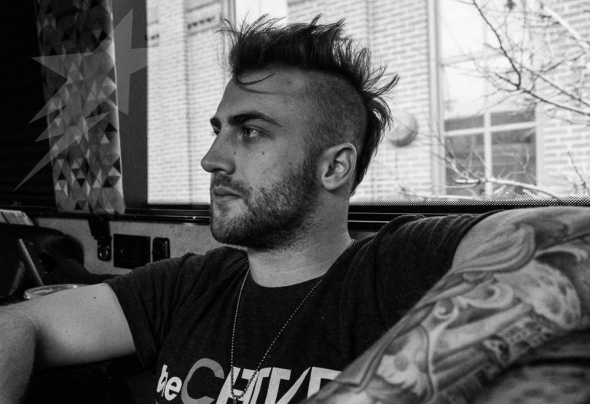 JORDAN-After this Hard Drive Live tour we go out with Anberlin on an acoustic tour. After that, we have some really awesome things ready to go for the rest of the year so check out StarsInStereo.com for the announcements! We will be in or near Detroit very soon. NOIZE-Thanks Jordan. We loved your answers! This entry was posted on Tuesday, May 14th, 2013 at 8:22 PM. It is filed under Featured Stories, Interviews. You can follow any responses to this entry through the RSS 2.0 feed.